Please state any delivery instructions in the comments section when completing the checkout. The bulk bag of DSATCO Lupin Mulch is delivered free of charge to the Perth metropolitan area. Delivery is usually within a week of order however during the busier times of the year this can take longer. One bulk bag is equivalent to twenty-three 45 litre bags and covers an area of 50m2. When you have emptied the bag, bring it back into us and we will exchange it for a 45 litre bag. Lupin Mulch is manufactured from pure organic sourced lupin plant material and chicken manure. It is weed free and will suppress the germination of weeds and can also be used to smother growing weeds when applied in a thick layer as a result of the high nutrients that plants love but weeds hate. It will keep the soil 5 – 10 degrees cooler in summer and help to retain more moisture which will flow freely through the mulch, but not evaporate from underneath, creating an ideal environment for plants to grow. Being an organic nutrient product it is environmentally friendly preventing leaching of nutrients. The result is lovely soft, moist, chocolate brown, fibrous mulch, ideal for gardens, especially roses, flowering annuals, vegetables and fruit trees. 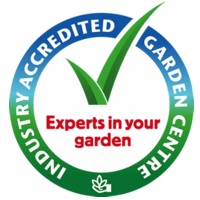 It is also proven to be suitable for all types of gardens and plants.